I DO believe my folks invested in a Speed Reading and Comprehension class for me in highschool..I never did pick up on the tips! So lovely! The pastels are perfect for spring. What watercolor paper are you using? Canson XL cold press -- I get it at Michaels. thanks! So pretty! This is a happy card, for sure!! Ha! I'll keep that "high intersection score" in mind when I make a simple card. It sounds impressive! Mine don't always come out this pretty, though. 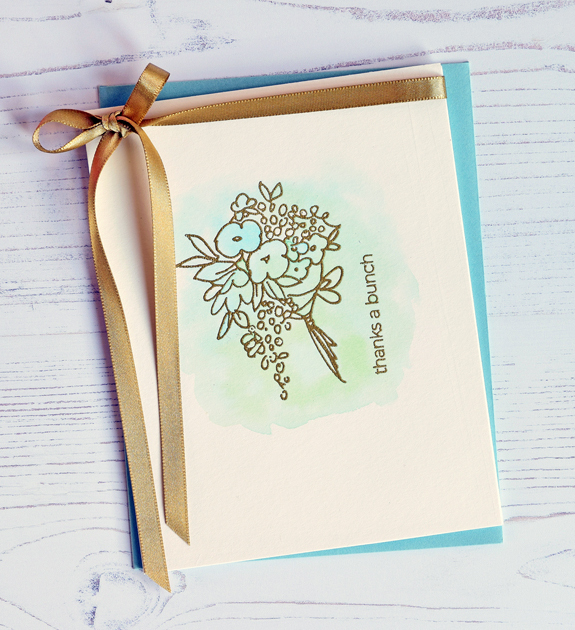 It looks great embossed in gold on the soft watercolor wash. Your colored envelopes are always such a nice touch, too. Next time I'm getting colored!